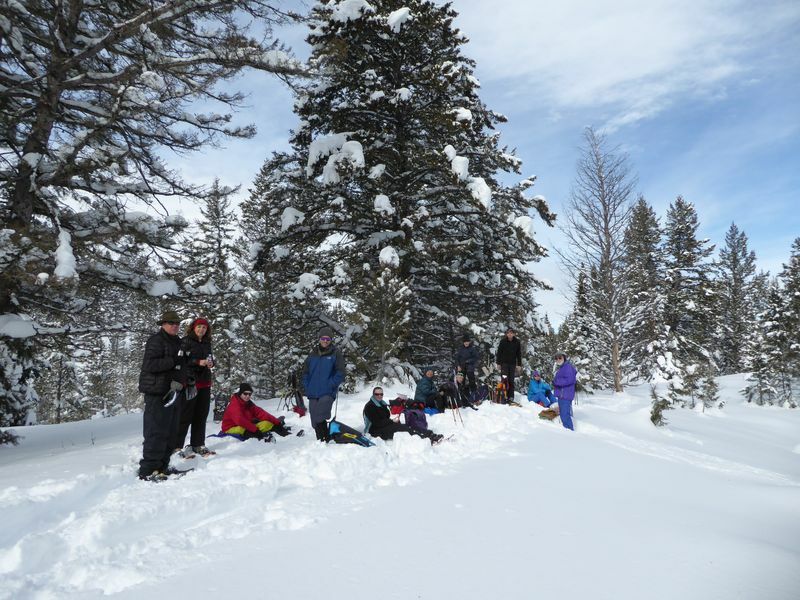 Twelve Cache Hikers, Dave W. (skis), Jane, Susan (leader), Dave P., Alex (skis), Lavae, Kip, Gordon, Maggie, Laurel, Nikolai and Chris left Logan just after 10 a.m. and headed 28 miles up Logan Canyon to Stump Hollow. We were able to get the only three available parking spots in the lot across from the trailhead. There was a slight upcanyon breeze which made the temperature seem much colder at the start! 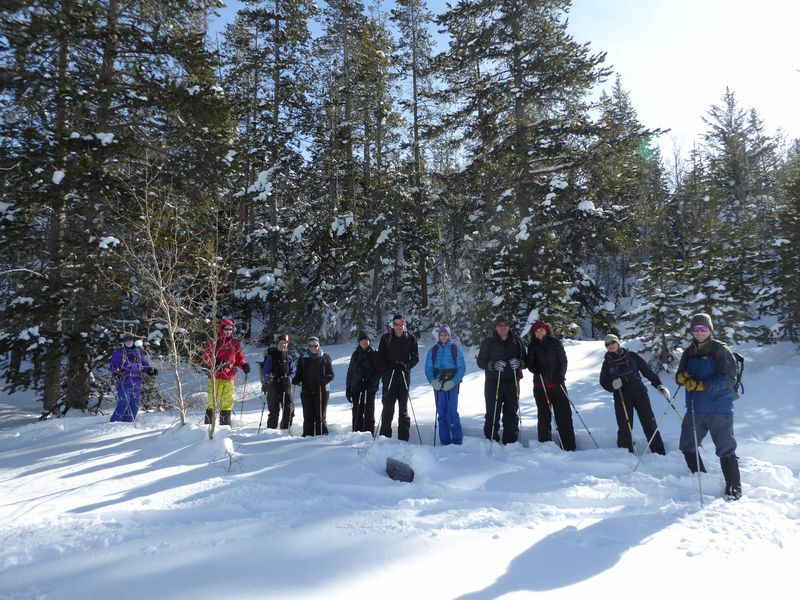 The group started out looking for the trailhead sign and finally found it buried under snow. Once the group entered the trees, the breeze dissipated and the trek became quite pleasant. The sun was out with a bit of high cloud and the trees were flocked with heavy dollops of snow. 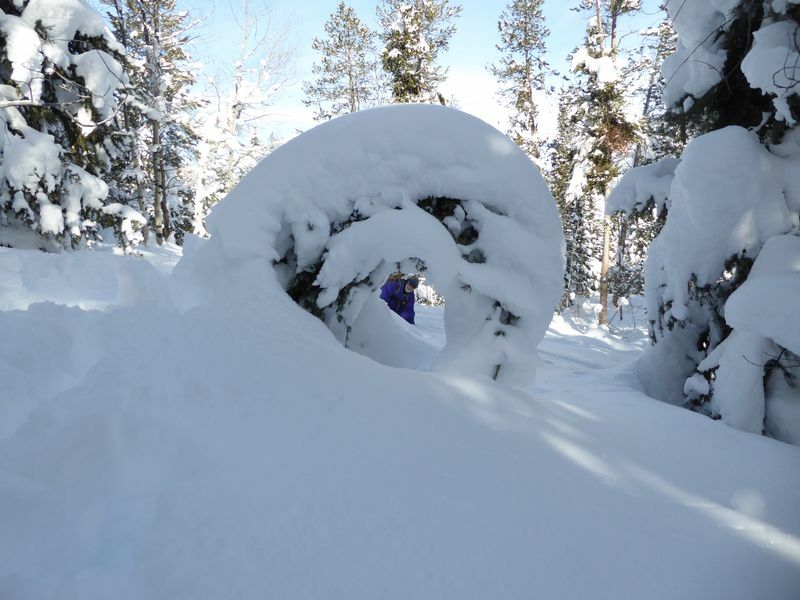 We traveled in some previously laid down snowshoe tracks but about 1/3 of the way or so up we needed to break trail through about a foot of beautiful powdery snow. At about 1.3 miles in, we found a lunch spot on a ridge with nice partial views to the east. 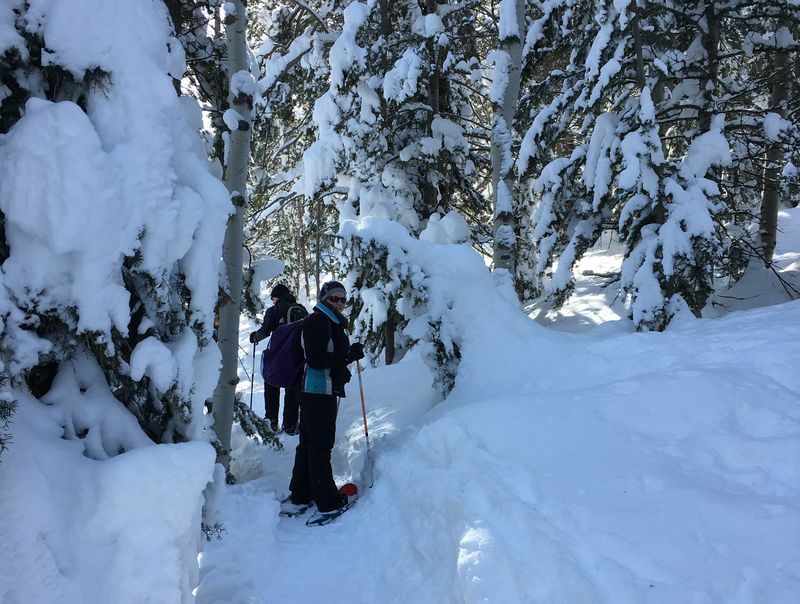 We took a leisurely lunch break where Dave W. measured the snow depth at 55 inches and the temperature at 12:30 was 27 degrees F. We returned to the parking lot at about 1:45 pm for the trip back to Logan arriving about 2:30pm.